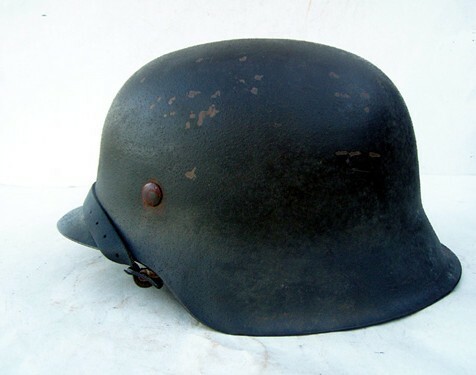 This rare M42 helmet has often been incorrectly referred to as a M45. The lot numbers of the originals do not bear this out. Originals were produced by produced by Eisenhüttenweke in the mid 1944 time frame. These helmet may have been the result of factory error or even an experiment. 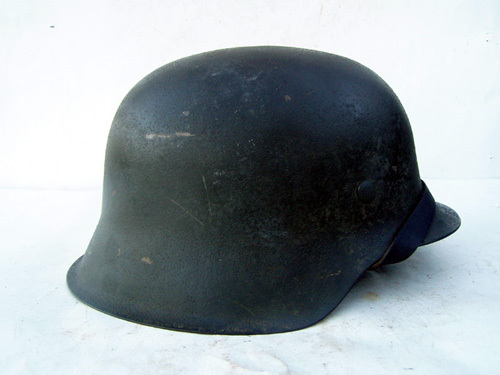 The helmet has been restored by painting it with a typical rough textured field gray finish. The helmet has been moderately aged.